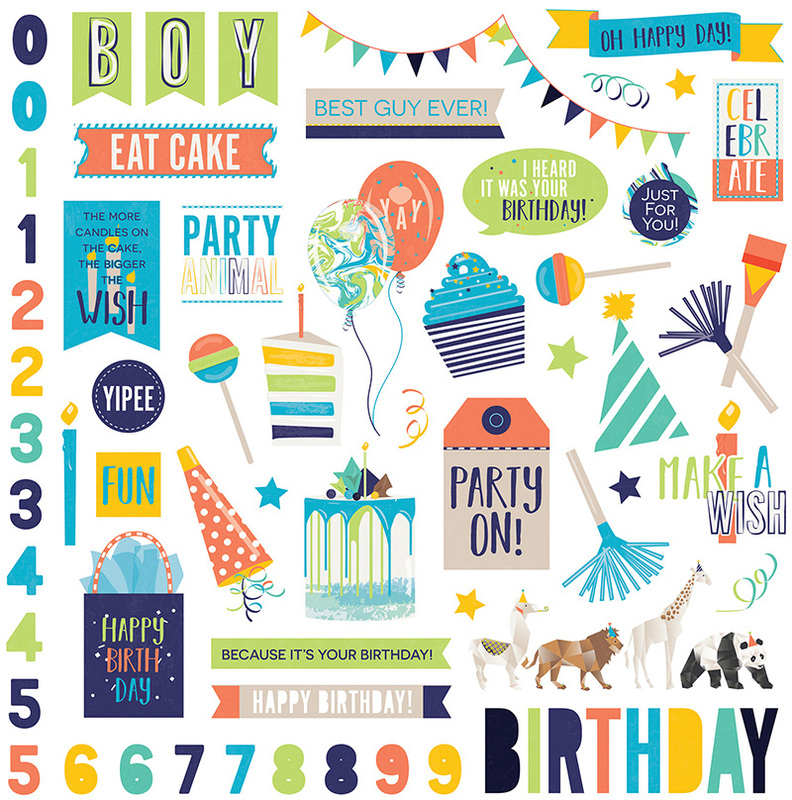 This 12x12 Party Animal Sticker Sheet has a great assortment of Birthday Icons. Use to embellish your projects or make cards. Part of the Party Animal Collection by Photoplay Paper.